Welcome to my blog: my name is Andrea and I’m your contact in Florence and the Tuscany area for organizing your holiday or non-leisure travels in this part of Italy. 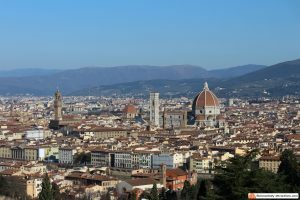 I can suggest you how to reach Florence and Tuscany, where to stay and where not to, where to eat and shop, what to do and see while here and many other things a local friend would help you out with. You need me because Florence is not like any other city: it’s a crowded place filled with attractions that you will regret missing if you don’t plan carefully. Attractions related to so many different things like art, history, wine, food, countryside and sea landscapes, that it’s impossible for a traveler to choose without making mistakes. 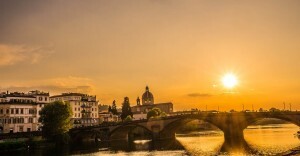 Your travel agency can arrange a trip to Florence Italy, but what do they know about the city? They rely on global tour operators that they trust (more often: that offer them the best profit margin), and these tour operators contact the local agencies, again trying to get the lowest possible prices. Accepting that a travel agent in your city, even though he’s operating for your best satisfaction, will make terrible mistakes, is the first step in building a pleasant holiday. Let him organize your trip to Florence Italy, and let me organize your stay and make it the best holiday experience in a lifetime! Sure, you can organize everything yourself and save the travel agency fees, it’s easy to do online. I agree, and I want to help you do this. How? Selecting the best for you: the best hotels, the best tours, the best services. My mission is preventing you from making the same mistakes your travel agent would do. If you read on, you will understand why I can do this. Because I know what I’m talking about. How? I will give you the same treatment as I would for my family and friends. Why? Being a tourist guide in Florence is a beautiful job, believe me when I say it changed my life: it allows me to stay more with my wife and child, and I have the greatest office in the world: the city of Florence. I like to meet new people every day, especially because they are happy and relaxed people enjoying their holiday and showing them some of the world’s most famous art is a privilege. This is how it should be, but not always happens, and in my six years of experience with tourists from around the globe I have seen more and more unhappy people, for many reasons: they were woken up at 7 am because of men at work in their hotel, they were rushed in a tour the day before, they couldn’t find the meeting point because they were not given proper directions… the list goes on and on. The lack of professionalism in my business is something I couldn’t tolerate anymore, and in 2015 I started to offer my own private tours. It’s not easy to stand out in such a competitive market, and I was surprised by how many people actually contacted me in just a few months: they did not want the big groups, the lack of attention, the masses; they want to enjoy Florence, art and holiday in general and not be ‘just another tourist’. I still work for (selected) agencies too and still see a lot of unhappy people: it’s far too easy to compare hotels, tours, restaurants on global websites based on user reviews, but how many of these reviews are authentic, when you can buy a five stars review on Tripadvisor for just $ 20? Trust me: when I browse these websites, I see great tours and activities listed in the same page as very bad ones, and they look exactly the same. I provided both (and then dropped the agency that sells the bad ones), and I know what I’m talking about. That’s when I took the decision to turn my blog on Florence history and art into something more useful for my readers: a place where I select top hotels, tours and activities for you, separating the wheat from the chaff in the largest comparison sites. This is a great free resource for your holiday in Florence, but I’m going to do more for you. I want to be your contact in Florence and Tuscany: the person you trust for your holiday. I want to plan your stay and/or your tours and activities, based on your budget and your preferences. I want to know your expectations and be the one that gives you the small tips that only a local with my experience knows, letting you save money and/or avoid headaches. You want to have a perfect holiday, and I want to work to make it happen. Let’s start building your unforgettable holiday together: you tell me what to plan, and I will make it happen! A large section of the blog is dedicated to the attractions of the city: Florence is the cradle of the Renaissance, art and beauty play a big role here and we have so many amazing things to see that you won’t even know where to start if you don’t plan your holiday; I’m here to help you with this, and also to make sure you understand the city, which is impossible without knowing a bit of history of Florence, that you will also find in my blog section. Let’s not forget that Italy, Tuscany and Florence are famous for their food and wine. I’m dedicating part of the blog to this, to help you choose the best places to go and eat typical food, but also to just help you recreate the flavors of Tuscany right at your home. 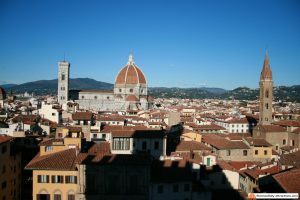 You will find all you need to know about what to do in Florence, with my personal reviews on the various things you will be offered while here. Finally, of course if you want to directly hire me as your tourist guide, I’ll be more than happy to provide you with any tour you prefer. My “Where to Stay” section is currently the most active and will be completed soon, and I’m creating a “Tourist info” section with posts which at the moment are scattered all around the blog, at the moment you can find info to travel to Florence Italy, train stations, airports. Do you need a reason to visit Florence Italy? Italy is a member of the European Union since 1952. Italy is part of the Eurozone since 1999 and uses the Euro as currency since. Italy is a member of the Schengen territory since 1990. In Italy, the time zone used is GMT+1, also known as CET (Central European Time). The population of Italy is 60 million, all these Italians live on 301.263 km² of Italian land. The Italian GDP is 2013.30 billion USD. There is no strict country wide drinking age for alcohol in Italy, the general rule, however, is 18. It is forbidden by law to sell alcohol to persons below the age of 16. Some regions of Italy have customized laws that forbid consumption of alcohol by persons below the age of 18, but above the age of 18 every person is an adult according to Italian law so there are no age restrictions above 18, there are restrictions on the sale of alcohol at certain hours of the day. In Florence, supermarkets and small shops cannot sell alcohol after 22:00, while bars and restaurants can. The unification of the different states, which formed Italy as a country, happened between 1850 and 1871. Italy was the center of the world during the Renaissance, Florence was considered the capital of the world at that time. The population of Florence is 378,000. The code for Florence is 055. Italy’s postal code system is called CAP (Codice Avviamento Postale). Read more on the top ten Florence Italy facts. I hope Florence is in your plans next time you come to Italy. Let me know if we can be of any assistance!